Gone are the days when everyone is aspiring to live in huge homes, with spacious lots. More folks, from single millennials to retiring empty nesters are opting out of big houses and considering smaller-scale houses and fuss-free living. The tiny home movement has had a positive on another type of dwelling: prefabricated homes. Essentially, prefab homes are manufactured in a factory before being shipped to the buyer or homeowner’s building site in pieces. Then, they are assembled on site in a matter of days, putting pieces together like an IKEA furniture. There are three main types of factory-built homes to choose from: modular homes, panelized homes, and pre-cut homes known as “kit homes”. Modular homes are composed of one or more modules built in a factory. Panelized homes are built in panels, like whole walls. Kit homes, on the other hand, are cut to design specs in-factory. The parts, whether they are modules, panels, or pre-cut parts, are fully-outfitted with interior fittings including plumbing, electrical, and doors. They are shipped on site for assembly and finishing work. While the total cost of prefab homes is highly variable based on their size, location, and amenities, they are typically less expensive than traditional “stick-built” homes. Prefab homes are often priced per square foot, so you get the gist of how much your home will cost based on its size. The difference in cost is not dramatic. It can only be 30% to 70% cheaper. Sometimes, prefab costs pretty much the same with conventional housing. However, you’ll get your money’s worth since prefab has a quicker, easier construction time, and less hassle, labor, and waste. If you’re on a tight schedule, prefabricated homes might be the way to go. 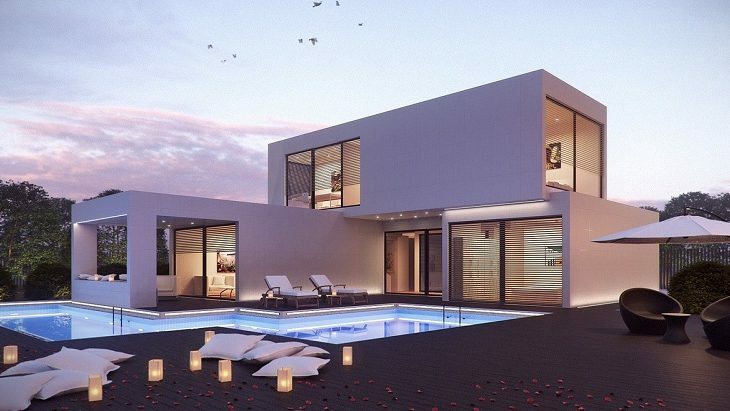 Compared to traditional construction, prefabricated homes are easier and faster to build. The prefabricated materials are brought to your lot for assembly and prefab builders know how to quickly place all the parts and pieces together in just a matter of days. If sustainability is important to you, you can never go wrong with choosing a prefab over site-built homes. All the required materials, which are made in the factory and carefully cut and designed for seamless assembly, won’t go to waste and end up in landfills. Additionally, the prefab home parts and materials arrive on site all at once, reducing emissions. Traditional build takes multiple groups of subcontractors, working separately to do their designated task. In prefabricated homes, modules are built in-factory, which means the labor can be more effectively managed and the work is done quickly and efficiently. Kit homes, a type of prefab, may even encourage skilled homeowners to build their own home, either alone or with the help of a general contractor. In addition, some prefab manufacturers are taking their “eco-friendly” design up a notch by creating homes that use solar panels and more efficient windows. This is a win-win situation for you since this could help you save money on utilities in the long run. Modern prefab homes are designed to withstand extreme weather, and may even perform much better than traditional residential framing. Another advantage of prefab homes over traditional homes is, they are built in a factory that’s immune from environmental stressors, which could potentially damage a home’s integrity even before it’s built. Prefab homes used to be associated with “lower quality” and “old-fashioned design.” Well, not anymore. Prefab homes today, from sleek, boxy modular homes to country style kit homes, look more attractive than ever. They use geometric and modern exterior fittings that maximize natural light and air and boast open spaces. They may also come with energy-efficient solutions.